I'm no fan of Paula Deen, although I have eaten at her restaurant in Savannah and was not impressed. But I am surprised at the rapid cancellation of her show by the Food Network because Deen admitted she used racial slurs in the past, even though she admitted that they were wrong and she no longer uses them. 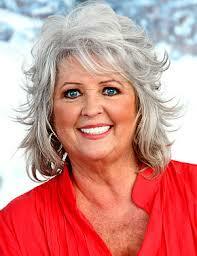 Paula Deen, TV personality - verus Ergun Caner, Baptist personality. You would think we would hold Caner to a higher standard, especially since he is so popular as a youth retreat preacher. But sadly, our culture apparently holds Paula Deen to a much higher standard than we do a Baptist preacher who spends his summers preaching to young skulls of mush at youth retreats. Below are examples of Ergun Caner's racial and ethnic stereotypes he perpetuated from the pulpit over the last decade for which he was never held accountable for, or made to apologize for. Why did he get a pass on these? Probably because he spoke them AFTER he was able to convince audiences after 9/11 that he himself was some sort of minority - an immigrant "Turk", and "olive skinned" person - and thus he made these comments in that false context of being a minority himself. I will say this: there WAS one person I know of who has called on Caner to apologize for his remarks, and that was Pastor Dwight McKissic. Dwight correctly called Caner to apologize to FBC Jax after he made remarks back in 2009 perpetuating stereotypes of blacks and Hispanics. "Anybody that's ever been to a black church....they took up 12 offerings. Apparently they go back in the back and count it and if it isn't enough they gonna take it up again....Boy, you go to a black church, gentlemen, you ain't just gonna have on a blue suit, your shoes are gonna match your suit, and your handkerchief is going to match your tie, and the whole outfit is going to match your car....And ladies: when we talk about black church, we're talkin' about hats. And I'm not just talkin' Easter hats as some of you may wear, I'm talkin' 'bout satellite dish hats. Big enough to receive a signal, with a curtain rod goin' down the front that you can just pull the curtain across. " "How many of you ever been to a Hispanic church? Some kind of worship there. That's whole man worship - body, soul, and spirit. In the middle of the song, you may recognize the hymn, you don't know what they're sayin', but in the middle of a song they'll bust out with a BLEEEEEEYAHHHHHHHH." "The Mexican students and I get along real well. They're my boys. I always joke with 'em, I say 'Man, if I ever adopt, I want to adopt a Mexican because I need work done on my roof and, and uh, I got a big lawn." "And now my people come here - the olive-skinned come here - four times faster than any other people group except for the Mexicans and we're not in the back of Chevys." "His whole family was thrilled when the 'towel head' showed up at the door [to date his daughter]." "I wasn't in any rush [to get married]. Turkish women have better mustaches than Turkish men." "Do you believe in women behind the pulpit? Why of course, how else are they going to vacuum back there unless they get behind it?" "A single preacher in churches is like blood to sharks, because in those country churches they would drag out mutant granddaughters out of closets for me...this ain't much to look at [himself] but I didn't want to marry a female of this [point to his face]....finally they would say 'I know the perfect one for him' and then she'd pull her out [of the closet], 'come here Bullah' [then he makes barking noises]." So that is another aspect of the Ergun Caner legend and mystique...he can get away with the above nonsense, even as recently as last week at Westside Baptist Church in Gainesville. And Paula Deen, you obviously picked the wrong field - you could have freely used racial and ethnic and even sexist stereotypes if you had become a Baptist preacher/seminary professor/youth camp leader. Jason posted on his blog yesterday that he has found legal representation in Kel McClanahan, the Executive Director of a legal group called "National Security Counselors". You can read about Mr. McClanahan's experience here, and it surely is impressive. It is a wonderful thing that Jason is standing up to Ergun Caner's lawsuit, not backing down, and is going to fight it all the way. Jason most certainly has a big legal bazooka in Mr. McClanahan to match Caner's. However, we must not just cheer from the sidelines for Jason and wish him well. We need to get involved with finances. Funds must be raised for this defense. I urge all readers of the FBC Jax Watchdog who are able, to donate money to Jason's defense, as there is no way Jason can do this alone - as you'll read about below. You can find the information on Jason's website on how to make a donation. I'm making a donation today via PayPal as soon as I get home. Also, you will want to read Jason's personal testimony that he posted on his blog on Friday. He explains who he is, and how he came to faith in Christ in 2004-2005, and how his marriage was saved through his personal turmoil. He now is a pastor of a small church in Arizona. Trust me, you want to read his testimony, it is nothing short of amazing. And genuine. And who really is the "bully" here? Now that we know about Jason - we now know that it is Caner who is the bully here, not Jason. 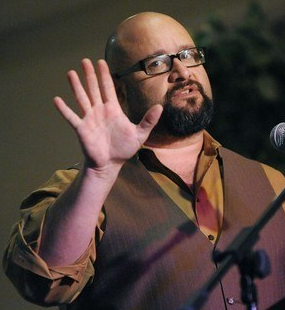 Jason, small church pastor in Arizona - Caner, popular speaker, famous author, promoted and defended by the big names in Christian circles like Tim Lee and Norman Geisler...and Caner, the man who promoted himself to stardom right after 9/11 at my church by concocting a phony-baloney story of being a trained terrorist who came to America. Remember my blog article where I exposed as late as 2010 Caner STILL being promoted as a formerly trained terrorist on Phil Waldrep's website? Do you see that? In April 2010 Caner's taped testimony was being peddled for $35 as a "hardened terrorist". That is a threat to Christianity, when false testimonies are told, believed, and then sold for thirty-five bucks. And what Jason did and what many other bloggers were doing the past three years was doing what Christian news agencies like ABP and BP should have done: got the REAL story on Caner so that others could be warned. The good news is that pastors are so far 0-3 in their attempts to bully bloggers they don't like, so Caner is trying to finally get a win. It is quite ironic that Ergun Caner fashions himself as "fighting bullies" - he regularly demeans those who have tried to expose his lies and warn others about Caner by calling them "bullies" and "trolls", and his tag line on his Twitter account was recently changed to "Bullies/Trolls: I fight back". When he posted that on his Twitter tag line, I knew what that meant - that he was going to begin the lawsuits. I believe Jason and Jon are just the first of Ergun's planned legal assault. So let's show Ergun that we will back up Jason. Give to his defense fund as soon as you can. Caner Files Lawsuit in Federal Court Against Bloggers Over the Marine Training Video, Which Caner Calls "Top Ten Things You Need to Know About Islam"
We now know the official title of Ergun Caner's Marine Training video: "Top Ten Things You Need to Know About Islam". Apparently number 1 on the list: ex-Muslims-turned-preachers will sue your pants off if you dare to expose their lies on the Internet. On Tuesday June 18th, 2013, Ergun Caner and his lawyer David C. Gibbs III filed a federal copyright infringement lawsuit against bloggers Jason Smathers and Jonathan Autry. Smathers and Autry both posted 2005 training videos that Smathers obtained in 2010 from the U.S. government under the Freedom of Information Act - videos of Ergun Caner training Marines on the dangers of Islam in which Caner told fib after fib to our troops. "This video [Caner speaking to the Marines] is solely the recorded and live footage of Dr. Caner delivering a presentation as a part of a series that Dr. Caner entitled 'Top Ten Things You Need to Know About Islam'. Upon an invitation from the United States Marine Corp, Dr. Caner delivered this presentation as a part of a training series on the religion of Islam and was compensated as an independent contractor". So we now move to the next stage of the Ergun Caner scandal. This move by Caner is nothing short of bizarre. He is putting his entire career on the line and the odds are not good. Let's face it, Caner has made his way back from the embarrassing revelations of 2010 that led to him leaving Liberty University. Caner now has a job that he tells everyone that he loves - working and training young people at Arlington Baptist College - and by his own admission he now has a full 2014 speaking schedule including summer camps with numerous youth groups. His debacle is behind him, and he has recovered - in large part because most people in the churches where he speaks do not know about what he did from 2001 to 2010 during what I call his "decade of deceit". But now, 3 years later, Caner decides to exert what he thinks are his copyright privileges of a video tape containing multiple lies to our troops as they prepared to go to war. If Smathers and Autry decide to fight - this is only going to draw more media attention to Caner and his deceitful talks, and more people will find out what he has done. It won't be good for his business. I predict this will not end well for Ergun Caner. It really is very sad. As I wrote back in my 2010 article "A Coherent Defense of Ergun Caner", my hope was that Caner would do the right thing, come clean, apologize, make restitution and move on with his ministry. But as I found in my battles in 2008 to 2010 - when you're dealing with professional religious men and their minions who are more interested in protecting their turf and their revenue and their status in a religious heirarchy than they are advancing the faith they profess, they will make wrong decision after wrong decision after wrong decision. And this lawsuit is just the latest - and largest - wrong decision in the decade long series of bad decisions by Ergun Caner. - Even if the court finds that Caner does own the copyright to this video and not the U.S. government, the question remains: what possible commercial value would there be to a training video full of lies and deceit? Certainly Caner can't claim that he was ever going to benefit financially from this video, and the Internet distribution by Smathers and Autry thwarted this benefit. Surely the defense would be during discovery for Smathers and Autry to show the video was so packed full of deception that it had no commercial value at all, and therefore their Internet postings could not possibly impact the commercial value of Caner's work. Furthermore, the timing of the release of the videos, and the context of the blog articles in which they appeared shows the videos were posted for a nonprofit, educational purpose. Seems like an easy case to make that their use of Caner's work falls under the "fair use" provisions of copyright law. But that is just my untrained legal view. - Caner now admits in his filing that he "was invited" by the United States Marines to speak. I thought that maybe Caner spoke pro bono, maybe the "training" was just some informal talks he did as a courtesy to the officer that introduced him in the officers' club videos. Nope, apparently the Marines sought Caner out because they believed him to be someone credible based on their belief that he was raised in Turkey as an enemy of America, as both Caner and the officer that introduced him told the audience. - Caner admits in his filing that he was compensated for these videos as an independent contractor. Now we know for sure there was a financial payment made to him for this training. As a U.S. taxpayer, I'm outraged. Our tax dollars paid Caner to come and speak to our troops preparing for battle based on a false pretense that he was born in Turkey, trained as a terrorist in the protocols of jihad, and raised to be an enemy of America - all which are not true. I want to know why the U.S. government has not taken legal action against Caner for the potential harm he caused our troops by what in my opinion was a fraud perpetrated against my government. I would also like to know who was responsible for not vetting Caner fully before hiring him to speak to our troops. Lastly, let me say this: there is a better than 50/50 chance that this action by Caner will greatly escalate the media attention given this embarrassing saga. Caner professes to have devoted his life to the cause of Christ, but his actions are only going to bring shame and embarrassment to the cause of Christ and evangelical Christians everywhere - and rightly so. And Caner won't be the only one to blame: it will be those in his circles who refused to hold him accountable, and those who continued to pay him to speak at their churches and youth functions. I'll conclude by saying that while Caner might be able to get rid of most of the embarrassing video and audio put up by bloggers, Caner surely won't be able to get rid of the video below. 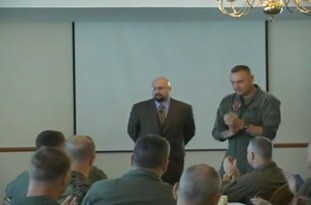 It is a 2011 news report by Brett Shipp of WFAA in Dallas that documents not only the Marine training lies but the entire Ergun Caner "mystique and legend" as Shipp calls it. And more media scrutiny is sure to come as a result of this lawsuit, and the ensuing legal discovery process. And bloggers like myself will be here to write about it. As reported yesterday on Jason Smathers' blog "Witness Unto Me", Ergun Caner and his lawyer David C. Gibbs III have attempted to take down videos posted by Smathers documenting Caner's deceitful training sessions of U.S. Marines in 2005. Smathers is fighting back, legally contesting the takedown, and filing a grievance with the Texas bar against Caner's attorney, claiming the takedown request is an abuse of copyright law, given the very videos they are attempting to take down are property of the U.S. Government. Please visit Jason's blog here to read about this take-down request, and to view the actual letter sent by David C. Gibbs III to Jason's video hosting company Viddler. Jason Smathers is one of the blogging heroes in this Caner story - he did an incredible amount of research to document for all of modern evangelicalism the depths of the Caner controversy, and Christians everywhere should be grateful to Jason for his work. Above is a picture of Ergun Caner conducting one of the two training sessions of our Marine officers in New River, North Carolina, on April 15, 2005. This still shot is from the videos of this event that blogger Jason Smathers obtained from the United States government back in 2010 using a Freedom of Information Act (FOIA) request. "It is one thing to listen to Caner spin his yarns of his days growing up in Turkey when he is front of the guffaw'ing Ohio Free Will Baptist men who are absolutely eating out of his hand. What's the harm: they hear some good stories, hear some great ethnic jokes, get some laughs, and return home to their churches in Ohio. But to watch a Colonel stand in front of his soldiers and tell them they are about to hear from a Turkish-born Muslim, who came to the states at age 14 through New York, describing him as someone who has seen the "Islamic culture from both sides" just makes my blood boil. These are people who weren't there for a laugh, they weren't gullible Christians on a retreat hoping to be entertained; they were there to try to learn from an expert the culture of the country where they all will have a big target on their chest." Well, this story just won't die. As I said in my opening paragraph, as Smathers wrote about yesterday on his blog, Ergun Caner has hired the Gibbs Law Firm to help him take down Internet videos - including the two Marine training videos obtained under FOIA by Smathers - that document Caner's "decade of deceit".Caner is also attempting to take-down the videos by blogger "Moses Model", as he wrote here. As I documented back in the summer of 2010, Caner's decade of deceit started in 2001 right after 9/11, when he was invited by Jerry Vines to speak at FBC Jacksonville. Right in front of my eyes, at my church, with my pastor nodding approvingly, it was then that Caner transformed himself from the little-known "E. Butch Caner" into "Ergun Mehmet Giovanni Caner". His claims to be raised in Turkey, of his training in Islamic Jihad to "do that which was done on 11 September" were all made up. He took advantage of the most horrific terrorist attack on our soil to launch himself to stardom in front of scared, gullible Christians after 9/11. He also gave a similar talk to Prestonwood Baptist Church in late 2001 as I documented here, which was rebroadcast as recently as 2010! But Smathers is fighting back, thank God. He won't let Caner bully him into letting those videos be taken down permanently. I predict this is only the beginning of Ergun Caner's offensive, and that it will backfire on him. I will do my best to stay on top of this story. Meanwhile, thank you Jason Smathers for fighting the good fight, standing up to Ergun Caner and defending your right to post those videos. "If you believe in evolution, you must also believe that Auschwitz and Hitler's Germany is equal to mad cow's disease. Because there is no difference in cattle and a person besides opposable thumbs and reason...so the slaughtering of cattle and the slaughtering of Jewish folks in Auschwitch MUST BE DECLARED EQUAL." 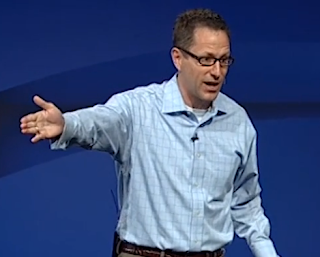 Gregg Matte is the senior pastor of First Baptist Church of Houston, and the elected president of the Southern Baptist Convention Pastor's Conference this week at the SBC Annual Meeting in Houston. What is he talking about? We CAN and DO judge morality and immorality separate from the issue of creationism vs. evolution. People of faith, and people of no faith together, can rightly judge immoral acts like Hitler slaughtering Jews. We can rightly judge moral issues like adultery or murder or theft. Duh. If any person of faith - or an atheist or agnostic - believes in evolution vs. the biblical account of creation - they most certainly don't have to equate slaughter of Jews to slaughter of cattle. That's an offensive idea to begin with, that a person's view on the origin of the universe might render them completely incapable of seeing the atrocities of Hilter's regime. This idea that Matte puts forth is sick. It is too bad guys like Matte don't realize that this kind of nonsense drives people - especially young people - away from Christianity. A young person who is struggling with their faith and is thinking through matters like creationism vs. evolution and hears Matte's rubbish, they will likely reject the faith altogether. Listen to the above quote in the entire context of his argument, and it becomes even nuttier. Greg Matte: To Believe Evolution is to Equate Slaughter of Jews to Slaughter of Cattle from FBCJax Watchdog on Vimeo. Oh No! I Can't Drink Starbucks and Be Right With God! I do understand that my failure to tithe has put me under a curse. I can accept that. I've been living "cursed" for quite some time, and it has been working out fairly well. Probably because it is a meaningless curse put on me by religious men and not God - but that is just speculation on my part. But now David Barton comes along, and now there is a new curse I have to worry about. The curse is that if I drink Starbucks, I'm helping to support the destruction of marriage and I'm not "biblically correct". David Barton is the one who I wrote about here, when he came to town telling us "...the Declaration of Independence is nothing more than a listing of all the sermons we had been hearing in church for the 20 years leading up to the American Revolution." This guy actually makes a living speaking in churches and telling people this stuff. So we can't drink Starbucks or we're "destroying marriage" and "attacking God". I remember the same baloney back in the 1990s at our church when the SBC recommended church members to boycott Disney after Disney decided to grant health benefits to employees' homosexual partners. You were the super-spiritual ones if you stopped taking your kids to Disney - if you did go to Disney or showed your kid The Little Mermaid, well, God was going to get you. I enjoy Starbucks. I buy cups of it brewed in their stores. I buy their beans at Publix and grind them at my house. I even bought a 12-pack of Keurig Starbuck packs for my Mr. Coffee Keurig machine. No wonder evangelical Christians are laughed at and not taken seriously. The Holy Men of God say if we buy Starbucks, we're attacking God. If we criticize the pastor, we're attacking God. If we don't give 10%, we're cursed by God. God, deliver us from these fools. While I sip my Starbucks.